Three suspects have been identified in connection with Tuesday's terrorist attacks in Brussels — Khalid and Brahim El Bakraoui, brothers thought to be killed in suicide bombings, and Najim Laachraoui. Officials believe the third suspect is still at large, and now that his identity is known, the world wants to know what Laachraoui's motive was for carrying out the horrific attack in the Brussels airport. Belgian newspaper La Dernière Heure originally reported that Laachraoui had been arrested, but Belgian Federal Prosecutor Frederic Van Leeuw confirmed in a press conference Wednesday that he was not in custody, though an unidentified person had been arrested. Laachraoui, 24, was seen in security footage from the airport wearing a tan jacket and dark hat with two other men, one identified as Brahim. The Belgian national is suspected of making the bombs used in the Brussels explosions, as well the Nov. 13 Paris attacks, and was seen with suspected Paris attacker Salah Abdeslam crossing the Hungary-Austria border in a Mercedes in September. Formerly known by the alias Soufiane Kayal, he reportedly travelled to Syria in 2013. Because of the trip, Laachraoui appears to have been linked to ISIS for at least a few years. The militant group took responsibility for both European terrorist plots, and Brussels and Paris have been definitively linked because of Laachraoui and his fellow attackers' ties to Abdeslam. He is still on the run and has not spoken to police or released a public statement about the attacks, so his personal motives are not yet known. However, it's clear that he was working on behalf of ISIS and its overall mission of inciting fear and sparking a religious war between Christians and Muslims across Europe. Since the attacks in the Brussels airport and subway station happened just days after Abdeslam was taken into custody in the Belgian capital, many wondered whether the assaults were in response to his arrest. The bombings were seemingly well planned, making it unlikely they were orchestrated within days, although it is possible that Abdeslam's arrest sped up already existing plans aimed at the city. ISIS doesn't typically shy away from revenge plots, and Laachraoui's connection to the suspected Paris attacker makes it even more likely he would be motivated to avenge his arrest. A manhunt for Laachraoui is currently underway throughout Belgium. 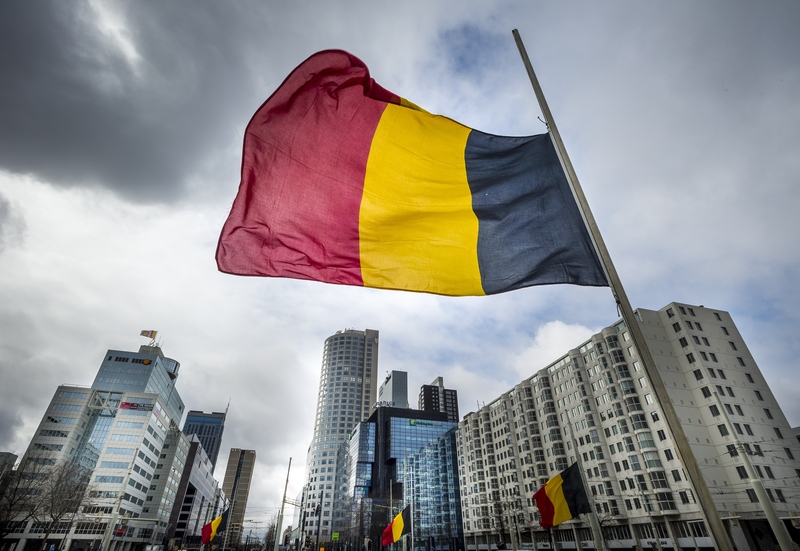 Police raided an apartment in Schaerbeek, a municipality in the Brussels-Capital Region, after a taxi driver reported having picked up the suspected men there and taking them to the airport. Although Laachraoui was not found at the apartment, police did discover an explosive device and an ISIS flag.